The New Spider Joints are here! 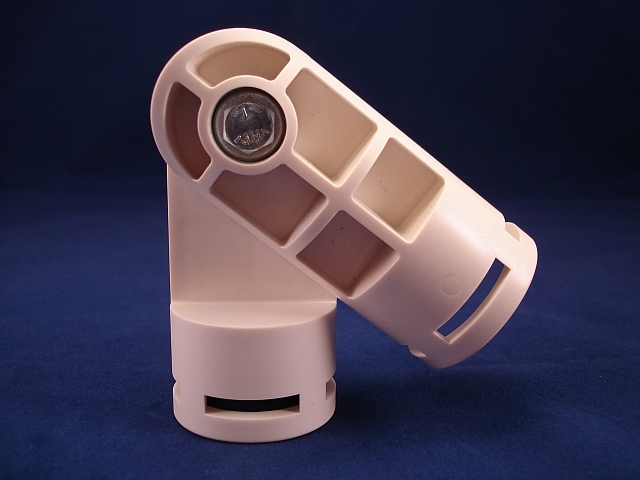 Update 4/9/2019 - All of our current stock of Spider Joints are molded out of ABS, not PVC. There is no notable structural differences but you cannot attach them with PVC Cement. Included screws must be used! All joints now feature a locking insert that allows them to be tightened using only one hand/one tool instead of two. They also now contain a set of fine locking teeth on the mating surface that give the joints the ability to lock and hold their position even under increased loads. These joints can still be used in an animated prop where you need them to move. It will require adding a 1 1/2 inch OD x 1/4 inch ID fender washer between the 2 parts. Please contact us if you need any help. 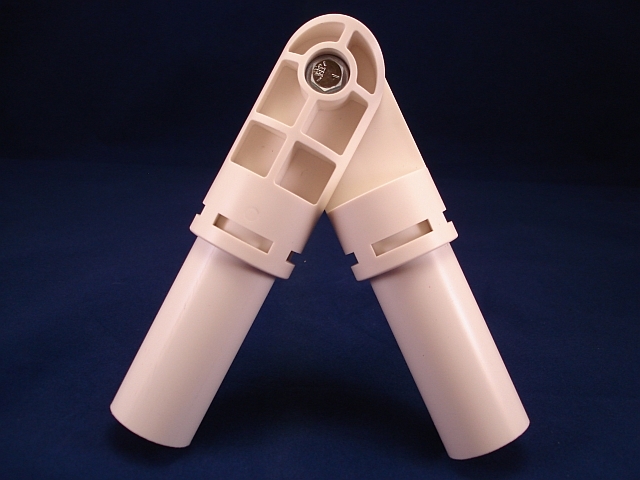 This fitting allows you to create an adjustable elbow joint between two pieces of 1 inch Schedule 40 PVC pipe. Great for Shoulders, Elbows, Hips and Knees. 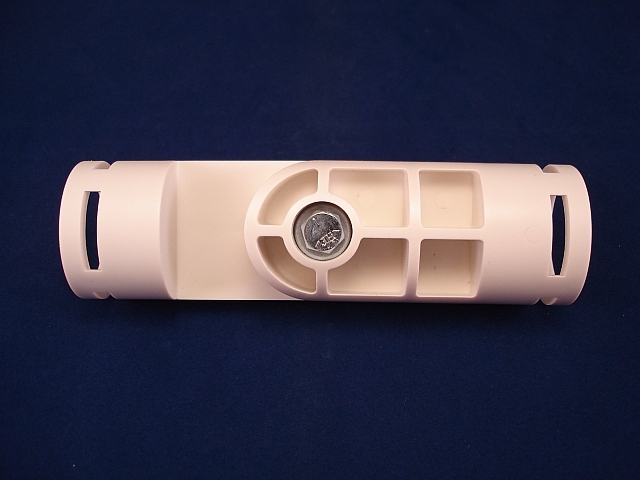 This fitting can be glued using PVC cement, or attached using screws. There are slots in the ends of the fitting that will allow the joint to be rotated when mounted to the pipe using screws. Features include, zinc plated hardware, nylon insert lock nut, and self drilling screws (2 included). Made of durable PVC. NOTE: These fittings are for decorative purposes only. 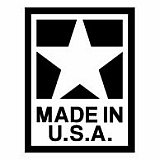 They have not been designed or tested to be used as structural or load bearing devices! These are the best thing for Haunters since the wiper motor. These joints have made my life as a haunter much easier. All the old characters made with metal pipe, wood or fixed PVC in my haunt have been replaced with 1" PVC and these joints. Now every year they can easily be changed to different poses and positions in the haunt. Even created a 16 foot spider with movable legs. The prop kits on the site are great and fairly economical for us home haunters. I work as an animatronics designer for the film industry and was recently tasked with creation of a number of life-sized rod puppets on a ridiculously tight deadline. The Spider Joints greatly simplified the build and performed flawlessly in front of the camera. Very nice. These "Spider Joints" work great! A bit tight to undo, but they do hold pretty well. Not bad and work okay with a 1 inch PVC piece, though you'll need an adhesive. Overall, really unique and neat piece! Q: trying to use these for hired angel wings that open and close. Can these bear the weight of a length of cotton fabric? A: Hello, yes the joints should be able to handle a load like you are describing. Q: The Shipping is per piece? Q: Do you offer a discount with bulk purchases? I may need up to 48 of them. A: Hello, yes, there is automatic quantity pricing on the site. There is a drop down button just under the add to cart button where you can view the discounts. At 48 joints they would drop to $2.98 each. Q: How tight is the joint? I want to use it to make the upper body of a life sized mannequin bend over forward and then stand up straight. The upper body weighs about 20 lbs. Would one or two spider joints at the base of the spine be strong enough to help the mannequin stay standing up straight? Also, does the joint stay tight or does it loosen with use. Thanks. A: Hello. For a 20lb load, I would definitely recommend using a twin spine setup with 2 Spider Joints to support it. Our joints have teeth in them and will not slip once tightened down. You will need to loosen them again each time you want to change their position. Q: Do you have a clamp that can be attached to the end that can be adjusted? Can I place the other end on a standard pipe...my project is a 36"hoop clamped on the adjustable end and the other end would be attached to a vertical pipe....which will be put in a big planter as supporter of the pipe. I would like to use PVC but not sure it could handle the weight being only clamped on one side...thanks so much for reading this and giving me some guidance...I just found out what those adjustable elbows are called..THNK YOU! A: I think I follow your idea. What size (diameter) is the hoop? So basically you want a vertical PVC post that has a clamping mechanism at the top to hold your hoop? I currently do not have any pre made parts like that, but depending on what the hoop is made out of, I might be able to help you figure something out. You can email me directly at [email protected] . Q: what size is the spider joint SJ1 1 inch ? A: Yes, currently all of our fittings are 1 inch.